It is said that "In order to fulfill your dreams you need to wake up". Having an aim or a goal in your life is very important because it will not only make your path right and fulfill your dreams but it will also make you inspire other people and friends. It is very important to have a dream because without dreams a man can or will be aimless. It was always my aim and dream to become an IPS officer because my grandfather was also an IPS officer during his time. He would always say interesting incidents which happened with him and how he has served his country with integrity and passion, he also wanted me to become an IPS officer like him. 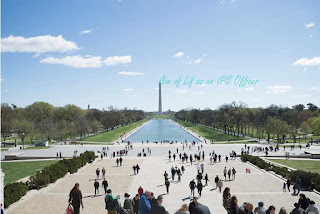 I also want to serve my country with the same dedication because after becoming an IPS officer I will be able to solve my countries problems and also helping in making the country a better and more developed one. I want to solve problems of crime in the country and I want to keep the public safe from any external forces. My family has always encouraged me to pursue my dreams. So when I grow up, I want to score good marks in the entrance exams and I want to work hard in pursuing my dream because without working hard, nothing can be accomplished perfectly. If my dream will be successful, I want to set an example for everyone that nothing is impossible.